CHICAGO -- Olczyk, who turns 51 on Aug. 16, had surgery last week, and Chicago Blackhawks team physician Dr. Michael Terry said Tuesday he "will be undergoing further treatment in the coming weeks, including chemotherapy." Olczyk is a color analyst for TV broadcasts for the Blackhawks and NBC Sports. 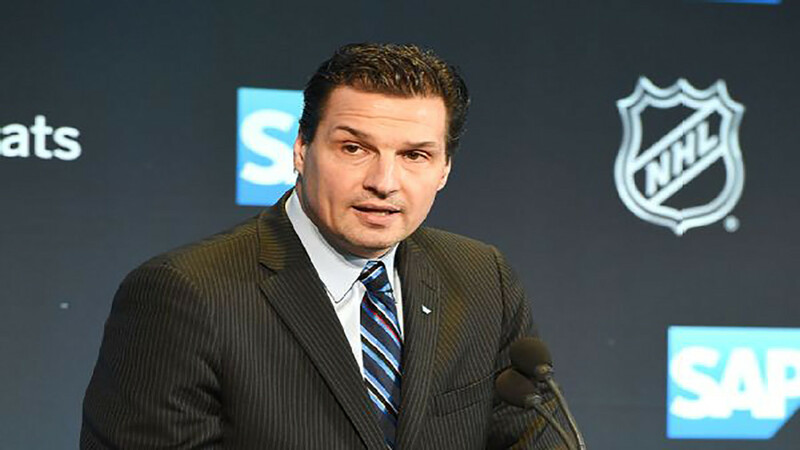 "I have been working with outstanding health care professionals and expect to be back in the broadcast booth after I complete my treatment," Olczyk said in a statement put out by the team. "Having the support and encouragement from my family, the Chicago Blackhawks organization, NBC Sports and all my friends and fans means the world to me and will give me continued strength to beat this." Olczyk was selected by Chicago with the No. 3 overall pick in the 1984 draft. He played for six teams during his 16 seasons in the NHL, helping the New York Rangers win the Stanley Cup in 1994. He finished with 342 goals and 452 assists in 1,031 games. The Chicago native also coached the Pittsburgh Penguins for the 2003-04 season and part of the 2005-06 season. "Eddie Olczyk is a treasured member of the Chicago Blackhawks family and we will be supportive of him as he fights this disease," team president John McDonough said. "We encourage our fans to keep him in their thoughts as we all look forward to having him back in good health as soon as possible." Sam Flood, an executive producer and president of production for NBC Sports, said Olczyk will not be broadcasting for them at the start of the season, but they are looking forward to his return to their national crew. "On behalf of everyone at NBC Sports, we wish Eddie and his family all the best as they cope with this health issue," Flood said. "Our top priority is for Edzo to get healthy."